Coron town doesn’t have a beach, so when Banol beach came into view, we were all so excited. How can we not look forward upon seeing this gorgeous strip of white contrasting beautifully with the turquoise water? Banol is just one of the many spectacular beaches in the Calamianes. I’m quite happy with this one though. 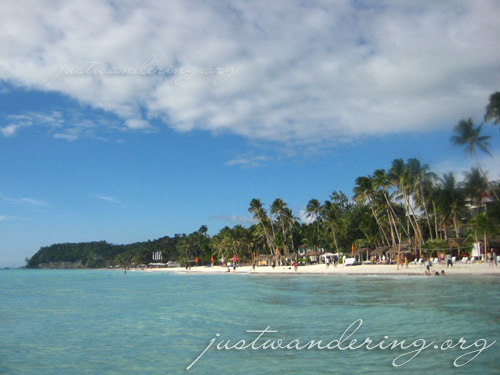 I know, I know, Boracay is too crowded, too commercialized, too everything! Still, it will always remain close to my heart because it was our barkada’s first out of town trip together. Definitely the most memorable two weeks of our lives. Aside from positive experiences, what I love about Boracay is that there is so much to do, both in and out of the water. It doesn’t hurt that there are plenty of great places to eat too. Like the Calamian group of islands, there are plenty of beautiful deserted beaches in the Bacuit archipelago. As much as I love the Secret Lagoon beach, Hidden beach and Helicopter island, it’s the beach in El Nido town that I love the most. Sure the sand isn’t as white or as fine, but the beach is right there. I go out of our room at Marina Garden, and with just a couple of steps, my feet is already touching sand. No pesky tourist in sight. Love. My latest favorite. This is one of the places that I encourage a lot of my friends (and readers of this blog) to visit, but at the same time, I find myself wanting to keep it to myself so it remains deserted and pristine. Hundreds of people have already visited Calaguas, and plenty more are going in the coming months. It might be different next time I go, so I’m glad I was able to see it when it was still (relatively) unspoilt. My reason for loving Calaguas is the opposite of my reason for loving Boracay — I love how there’s nothing to do in Calaguas. *drooools*…keep posting your beach pictures, because they always look so flippin’ tempting and relaxing. 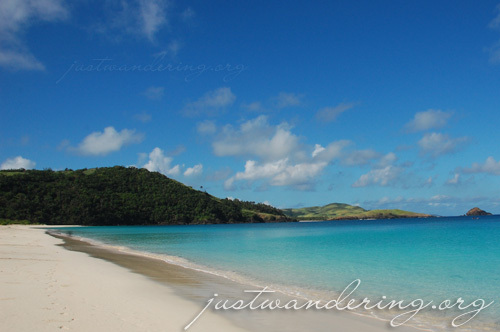 I’d say out of your four, I’d want to go to Calaguas Island—esp. if there’s hardly any tourists! I was wondering, are most beaches in the Philippines usually tourist hot spots, or can you find a handful that are empty? I love Boracay! You just have to plan your trip during the lean months so that it won’t be crowded. im so glad i’m a soul landed in this side of the earth. Hi Nina, grabe ang ganda talaga ng Pilipinas, no? 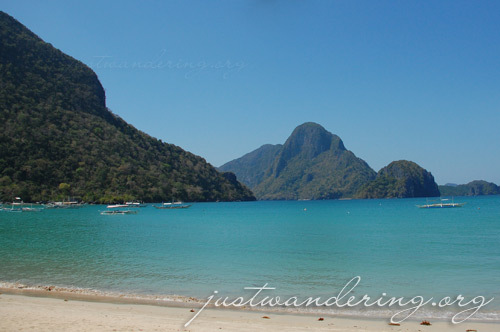 Naglalaway talaga ako sa pics mo, beaches are my favorite travel destinations more than anything. I hope I can visit these beaches someday.